Virginia Tech researchers tested 17 youth football helmets and rated them accordingly. WASHINGTON — Researchers from Virginia Tech are encouraging youth football players to get out of low-rated football helmets and into better-rated helmets to reduce concussion risk after releasing a new study. The majority of people playing football are youth players, less than 14 years old. But until now, there hasn’t been independent data evaluating the effectiveness of the helmets these athletes wear on the field. Virginia Tech Helmet Lab -- already renowned for their helmet ratings for varsity football and other sports -- release of youth football-helmet ratings so consumers can see which helmets best reduce concussion risk. A total of 17 youth football helmets were evaluated and rated using the STAR evaluation system, according to their website. Check the ratings here and read their test methodology here. Researchers said their impact tests, "evaluate a helmet's ability to reduce linear and rotational acceleration of the head resulting from a range of head impacts that youth football players might see on the field. Our lab tests are based on data we collected directly from 10- to 14-year-old youth football players that wore helmets equipped with sensors." "For the first time we’ve adapted the way we evaluate helmets in the lab to be youth-specific," explained Steve Rowson, an associate professor of biomedical engineering and mechanics and the Helmet Lab’s director. "Now, players, parents, leagues, and coaches have access to independent data about which helmets offer the best protection, and they can use the ratings as a tool to make informed decisions." The ratings were generated through a series of impact tests, helmets are evaluated using two fundamentals that include player experience and helmets that lower head acceleration reduce concussion risk, according to researchers. "Kids aren’t just scaled-down adults," Rowson explained. "Their heads are larger relative to their necks; their necks are weaker; and their brains are still developing." "Helmets with more stars provide a reduction in concussion risk for these impacts compared to helmets with less stars. While there are some differences in impact performance within groups, other factors such as cost, fit, and comfort should be considered when purchasing a helmet," researchers said. Since 2015, Rowson and his team have been leading an NIH-funded study of head-impact exposure in youth football. The $3.3 million, multi-university effort -- the largest biomechanical study of youth football players to date -- uses sensors embedded in players’ helmets to record impacts that occur on the field. The sensors capture data about how hard the players hit their heads, how often, and where on the helmet. By cross-referencing that data with clinical measures like concussion diagnoses and cognitive testing, the researchers could determine which kinds of impacts were most likely to cause a concussion in youth players — information that hadn’t existed prior to their work. "When you’re thinking about how to minimize concussions in contact sports, helmets are part of the solution, but they aren't the whole answer," Rowson said. "You’ll see the greatest improvement by making data-driven changes to rules, practice structures, and player behavior that reduce the number of head impacts in the first place. But some residual number of incidental head impacts are inevitable, and in those cases, having the very best protection will reduce the risk of injury." 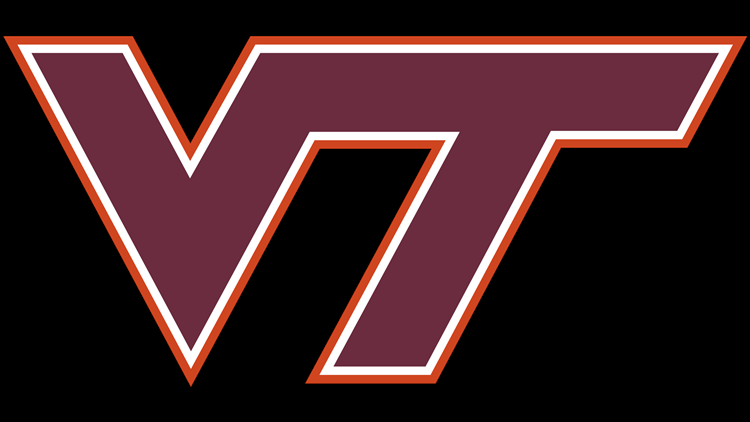 Virginia Tech researchers said they have provided unbiased helmet ratings since 2011. The helmet ratings are the culmination of more than 10 years of research on head impacts in sports and identify which helmets best reduce concussion risk, researchers said. "This work is done as part of Virginia Tech’s service mission and is 100 percent independent of any funding or influence from helmet manufacturers," according to its website. The NOCSAE headform is instrumented with three linear accelerometers and a triaxial angular rate sensor (ARS) at its center of gravity to measure linear and rotational impact kinematics. Data are sampled at 20,000 Hz and filtered using a 4-pole Butterworth low pass filter with a cutoff frequency of 1650 Hz (CFC 1000) for accelerometer data (SAE J211) and 256 Hz (CFC 155) for ARS data.